I’ve already written about my 5 favourite Christmas Jazz albums here, not to mention the recent post about Joey Alexander’s Beautiful Christmas Jazz EP. But some of my readers complained (rightfully so) that I’ve neglected the Jazz genre a bit on this blog. So just a handful of day before Christmas, let me point you to two beautiful Christmas Jazz compilations by two great labels. Concord Jazz is a great label that unfortunately has a bit disappeared from the map. 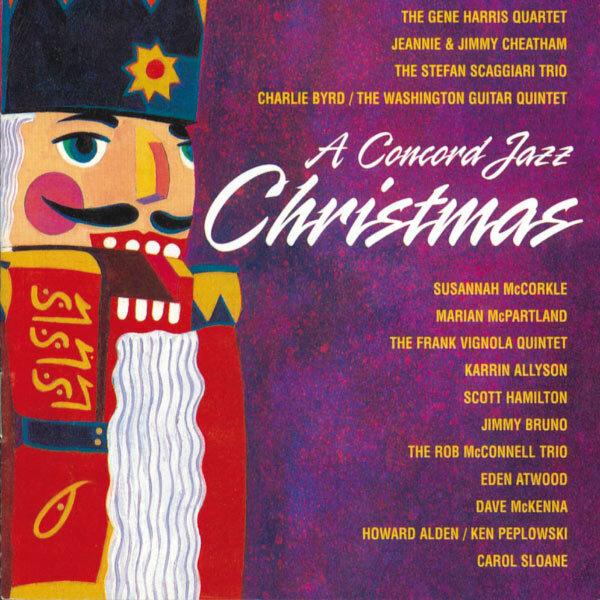 Nevertheless, this best of Christmas Jazz is really worth it. The legendary Verve label obviously has released a number of Christmas albums over the years. However, this must be one of the best. Look at the list: Ella Fitzgerald (obviously), but also Kenny Burrell, Shirley Horn, Bill Evans, John Coltrane, Jimmy Smith, Oscar Peterson. Kind of the Verve All Stars. 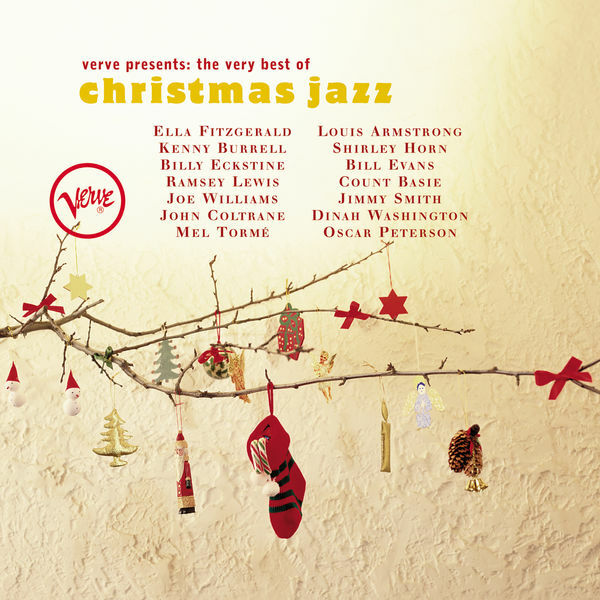 You get a beautiful version of A Child Is Born with Oscar Peterson, Bill Evans Playing Santa Claus Is Coming To Town, and even a great Jingle Bells by Jimmy Smith. And yes, it also includes Rudolph, The Rednose Reindeer, Ella’s Christmas classic. Again, an album that while giving you a nice Christmas feel, avoids the sugary overkill of some more contemporary collections. Wishing all of you some relaxing Christmas days, or whatever other holiday you’re celebrating this year end! I only recently noticed that the Jazz giant Ray Brown doesn’t have his own blog entry yet. To be fair, I’ve written about several records featuring him already, like Gene Harris’ Listen Here (a 1989 album), Oscar Peterson’s Night Train and Plays The Cole Porter Song Book (from 1962 and 1959 respectively), which also shows how long this genius has been active. I was very lucky to see him live once with his trio, back in the early 1990s about when the album below came out. I even listed one of his albums with his own trio, Summer Wind, Live at the Loa in my 25 Essential Jazz albums. Ray Brown really made the Oscar Peterson trio special. Obviously, Peterson is a genius himself, but only the extreme synergy with Brown made his trio work so outstanding. I personally don’t think his later work with other bassists like Nils Henning Ørsted Pedersen was ever the same level of fun as his first and main trio. But still, no dedicated blog entry. Let me rectify this on a sunny autumn saturday morning, where the sunny mood of this great album is just the perfect fit for my mood. This album was released on Concord Jazz, a small Jazz label formed by Jazz Enthousiast Carl Jefferson. Unfortunately, soon after this album was produced, in 1994, Jefferson passed away and this great little label was sold. Probably due to these changes in ownership, to this day, it is a bit trickier to find this album, I’ve given you two leads below. It is worth seeking out. The late 1980s and early 1990s Concord Jazz albums are really well recorded, and typically musicall they are simply a lot of fun. Who do we get on this album? Well, you get the “typical” Ray Brown trio of this time, with Jeff Hamilton on drums and Gene Harris on the piano. This is probably the trio that get’s closest in fun and energy to the original Oscar Peterson trio with Brown, and Ed Thigpen on drums. Some words about my favorite songs: Classical in G reminds me in a way of You Look Good To Me from Peterson’s classic We Get Requests, given that it also starts and ends with a Brown playing the bass with a bow. Paradise is slower but extremely groovy. But my real favorite is probably Gumbo Hump, as the mix of Harris, Hamilton and Brown here really is just fantastic.